A RUP LIFE: The Brickmaker's Bride Book #Review, Kindle HDX Giveaway and Facebook Author Party with Judith Miller! I've been loving sharing all of these wonderful books with you all. I'm an avid reader and it is nice to have a chance to share my passion with you, the readers! 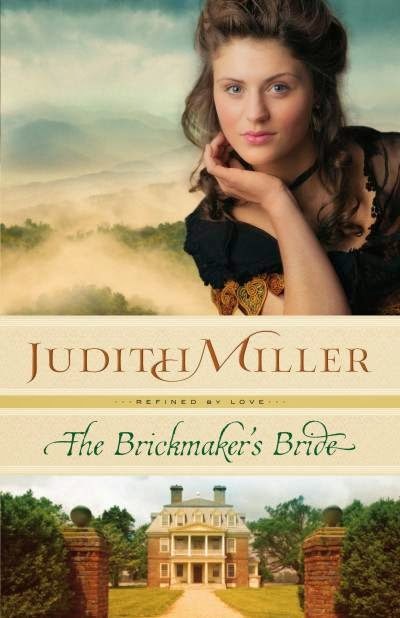 The Brickmaker's Bride by Judith Miller is the latest book I've read and I'm excited to tell you all about it! This book follows young Laura as she is changing her whole life. Her mother is selling her late father's business and trying to marry her off to the most eligible bachelor. Enter Ewan an immigrant trying to make a new life for his family. Together they work on business slowly the build a relationship. I love how Miller really shares the character's and their thoughts and doesn't spend a large focus on the setting and clothing. She gives us just enough of the details and much more meat for the story this way. This was a sweet romance book and the Christian aspect was woven in nicely. The Brickmaker's Bride is availabe to purchase at your local book retailers and online at stores like Amazon.